The golden glow of sunset dapples briefly on the high crests of Cathedral Peak (10,991 ft) and in the waters of Upper Cathedral Lake. 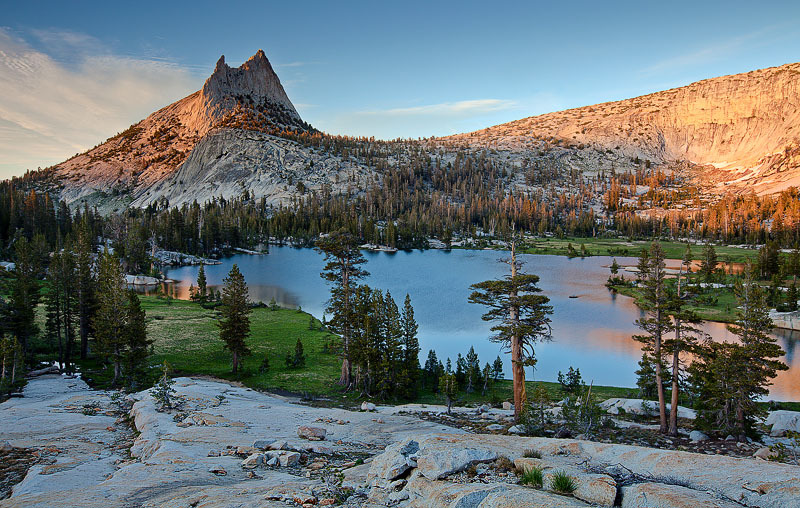 Cathedral Peak is the highest point in the Cathedral Range, an offshoot of the Sierra Nevada and a popular destination for both rock climbers and hikers. Photo © copyright by Michael Greene.